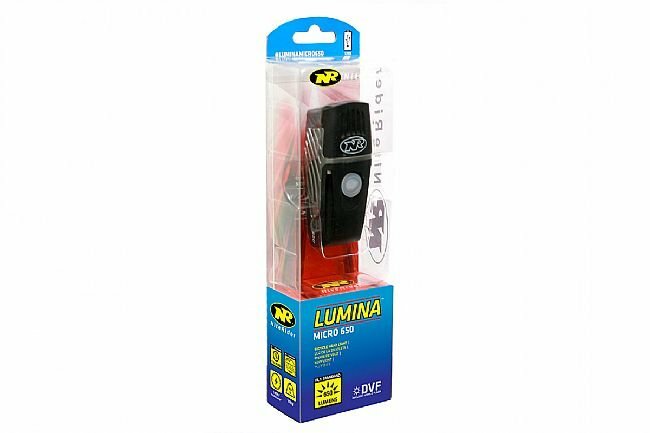 The NiteRider Lumina Micro 650 Front Light proves that small lights can put out serious illumination. Smaller, lighter, and more compact than the original Lumina line, the Micro series shrinks the package down but keeps the output high. Using the all new Collimator lens, the Lumina Micro 650 provides a widespread, generous beam that keeps the 650 lumens even from edge to edge. As with all the Luminas, the light features a low battery indicator that changes from blue to red, indicating that there is approximately 20% battery life remaining. All new Collimator Lens produces a generous, even, widespread beam. 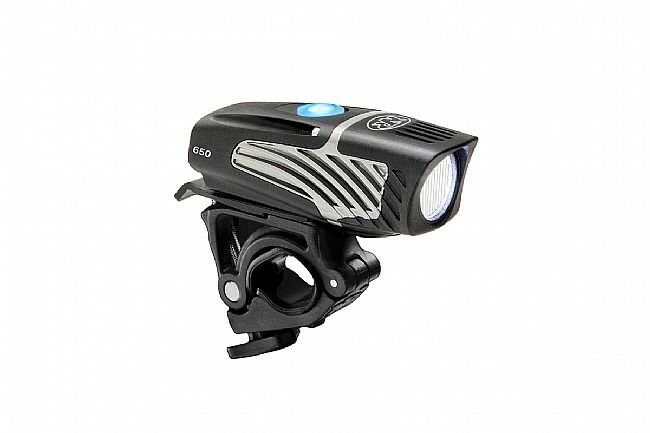 Daylight Visible 650 lumen output headlight. FL1 Standard IP64, dust and water-resistant.